What's So Great About $700 Bowling Shoes? Bowling has come a long way from the game your grandparents used to play on Wednesday nights. DJ's now spin at alleys while players drink craft cocktails and snack on chef-driven mac 'n' cheese. But one thing hasn’t really changed: Shoes that feel stinky, old, and disgusting no matter how much disinfectant the lane monkeys spray on them. Now, a cool Los Angeles alley bar is shattering that stereotype with a hyperluxe upgrade. Located on the mezzanine of Hollywood’s Roosevelt Hotel, The Spare Room is a cocktail and game lounge with a two-lane bowling alley. The owners enlisted designer George Esquivel to create bowling shoes that flush players may even want to wear home. Esquivel may not be a household name but his super stylish, made-to-measure shoes show up on the feet of musicians like Bruno Mars and Taylor Swift, Oscar nominees like Emma Stone and athletes including Lebron James. 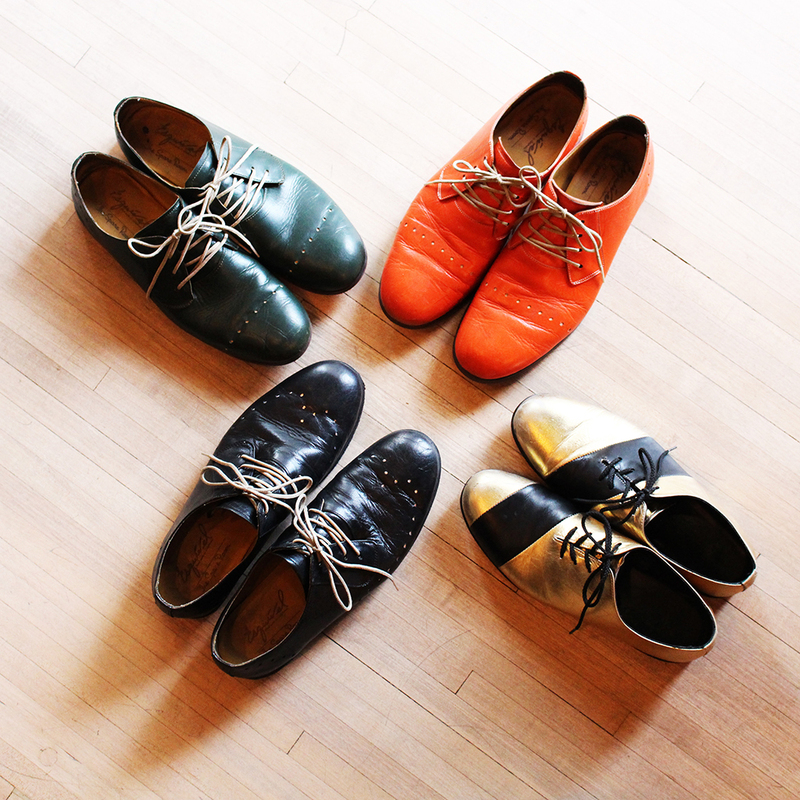 Made with calf and goat leather, these shoes are soft, flexible and stain resistant. That last part is particularly important when throwing a 14-pound ball with a Campari cocktail in your other hand. The colorful handmade shoes are available to purchase for a hefty $700, a price that makes the $100-per-hour lane rental seem like chump change. Luckily you can also just borrow them. While you’re rolling, make sure to pick up a cocktail or two. The Spare Room serves top-notch drinks and even color coordinated some of them with Esquivel’s line.